Piano or keyboard, classical or electric guitar, singing, percussion, playing a musical instrument or learning to sing demands work and rigor. This is the first precision that a teacher brings to his student when he comes to learn about music lessons. And what if this daily learning was seen as a totally beneficial and rewarding moment rather than a chore? Here are ten good reasons to motivate yourself and play music every day. The musical instruments of all families (string, wind, percussion, etc.) ask your body, and especially your hands, very particular movements. Whether it’s properly placing your fingers on keys, buttons or strings, it is by exercising often that you really master their position. The majority of instruments such as the piano, requires a real dissociation of both hands and this complex step can be made only by working regularly the technique through small exercises to chain. By practicing each day and watching your scores, you will become familiar with the notes and rhythms. You will learn how to slowly decipher scores at a glance, as the professionals do and you can be proud! Playing your instrument on a daily basis will allow you to measure very quickly the extent of your progress, not only during these 20 minutes but also and especially over the days. Register on Monday, then the following Saturday and you will hear how much your game for the same song is already different and much better from day to day. Becoming aware of his progress in music as in other aspects of his life is a driving force that pushes us to go even further! Despite the advice, students, no matter how old they are, have very little time to devote a bit of their time to daily musical practice. If you manage to stick to it, you will exceed in a few months the average level of other students, your level or even your friends and you will impress your private teacher! Playing each day of his instrument is to put all the chances on his side to progress faster . Of course, these 20 minutes are a minimum, free to repeat your scales, chords or arpeggios much longer. It is by exercising often, sometimes on long and boring exercises, that you will assimilate better and that you will soon be able to play the piece of your dreams. And remember, the more you practice the piano, the song, the guitar or any other instrument, the more you want to do it! The benefits of music are numerous and several scientific studies demonstrate this every year. 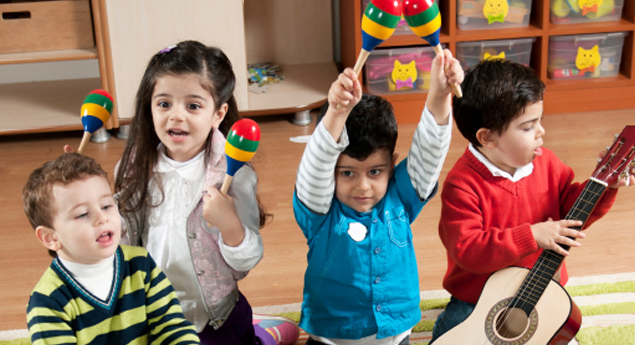 Music allows for better brain development, concentration, but also coordination and creativity. It is by hearing and playing music that you learn to dissociate notes, tones, rhythms and different instruments. To play an instrument is to train one’s musical ear and inevitably to develop one’s culture of the history of music. By playing every day at least twenty minutes of your musical instrument and by not hiding it, you will make it clear to your entourage that the music is liberating, beautiful and enriching, and maybe they too will want to learn. . The best testimony ever!